I am a Project Officer for West Cumbria Rivers Trust and I've been working on the Ellenwise partnership project for nearly a year now. 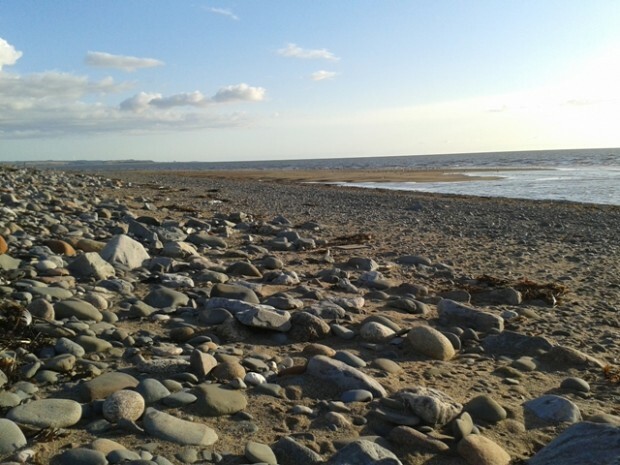 The project aims to reduce pollution (phosphorus and bacteria) going into streams in West Cumbria that lead to the sea at Allonby. By stopping pollutants entering rivers, we stop them flowing into the sea - thereby bringing benefits for not only our rivers but also bathing waters. West Cumbria Rivers Trust is delivering this pilot scheme for United Utilities ‘Catchment Wise’ Programme in partnership with the Environment Agency and with support from Natural England. Focusing on the Crookhurst Beck, which flows from above Aspatria to the sea at Allonby, I have been working with farmers to tackle 'diffuse' pollution (which comes from a range of places, rather than one single source) and water pollution from agriculture. By visiting a lot of the farmers in the area, I have been able to discuss potential ways which pollutants, especially nutrients and faecal bacteria, can enter streams and offer advice on how to reduce this. Often the changes I propose for environmental benefit also make economic sense for the farmer, for example, fencing by the sides of rivers and streams prevent the banks eroding and the fields getting smaller. Another important example is roofing over yards. This allows clean rain water to be kept separately from the yard water - the latter is then stored in specialist tanks and spread only at dry times of year so it doesn’t get washed off and run off the land and into streams. 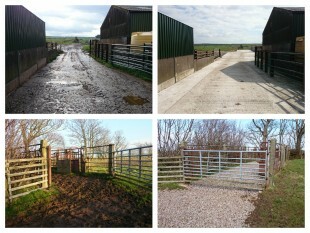 Fencing rivers and streams so livestock cannot defecate in the beck or erode soil on the banks, whilst still providing drinking water for livestock by putting in new troughs. Repairing a bridge and concreting the route dairy cows take over the bridge to the parlour, so it can be kept clean, as well as creating a gravel run-off area for any rain which falls on the new concrete. Laying stone chippings to cattle handling pens so the ground doesn't get churned up, and the mud and muck doesn't flow down the road into the river. We also support the LOVEmyBEACH campaign and urge everyone to do their bit to help improve our beaches in Cumbria. Everyone can check the water quality for their local beach on the new Bathing Water Explorer website. 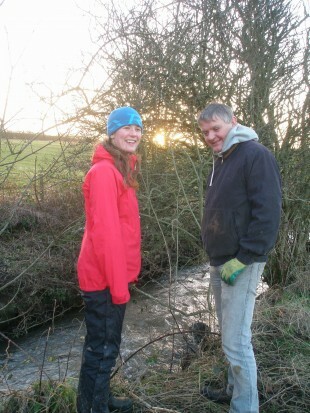 Rosie is West Cumbria Rivers Trust's Ellenwise Project Officer, tackling diffuse pollution in the Crookhurst catchment. Born and bred in the Yorkshire Dales, she moved west to study at Lancaster University before working with Catchment Sensitive Farming before joining West Cumbria Rivers Trust. Follow her on twitter @WestCumbriaRT or on Facebook: West Cumbria Rivers Trust.